Healthcare organizations, senior executives, and governing body members are under increasing scrutiny to ensure they have an effective compliance program. Operate and comply in accord with legal and regulatory requirements. Prevent fraud, abuse, and waste proactively. Identify and detect compliance issues in a promptly. Stop the noncompliant behavior and correct identified concerns quickly. Establish controls to prevent noncompliant activity from recurring. Promote an organizational culture of honesty and integrity. Compliance programs are mandatory for hospitals, health systems, and physician groups, and the cost of noncompliance is high. It includes recoupment of overpayments, self-disclosures, fines, penalties, reputational harm, negative publicity, exclusion from Medicare/Medicaid, and potential individual liability. At Coker, we can help your organization develop an individualized, meaningful compliance program and help to operationalize the program within your environment. 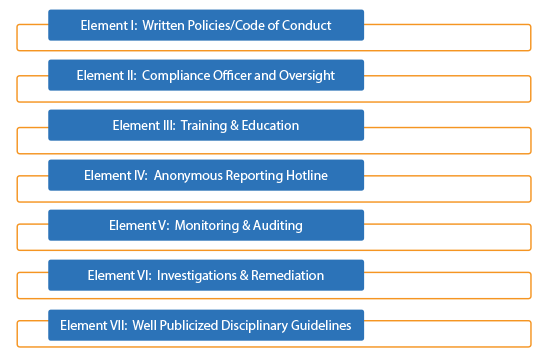 If you have an existing compliance program, we can evaluate it against the seven required elements from the OIG and offer recommendations to improve its effectiveness. We have the tools and resources to assist in implementing the proposals for improvement and are available for ongoing execution, support, and advisory services.